Over six years the Truth and Reconciliation Commission colleced 6,740 statements from witnesses and recorded 1,355 hours of testimony. It all culminated in 94 recommendations presented in Ottawa this week amidst four days of events and ceremonies attended by thousands. Over six years the Truth and Reconciliation Commission (TRC) collected 6,740 statements from witnesses and recorded 1,355 hours of testimony. It all culminated in 94 recommendations presented in Ottawa this last week amidst four days of events and ceremonies attended by thousands. The commission was a requirement of the Indian Residential Schools Settlement Agreement reached in 2007, the largest class action settlement in Canadian history. In its report, the TRC writes about the ongoing effects of colonialism, the "policies of cultural genocide and assimilation" and the huge rift this has caused between aboriginal and non-aboriginal people. "It took a long time for that damage to have been done and for the relationship we see to have been created, and it will take us a long time to fix it." "But the process has already begun," the commission adds. 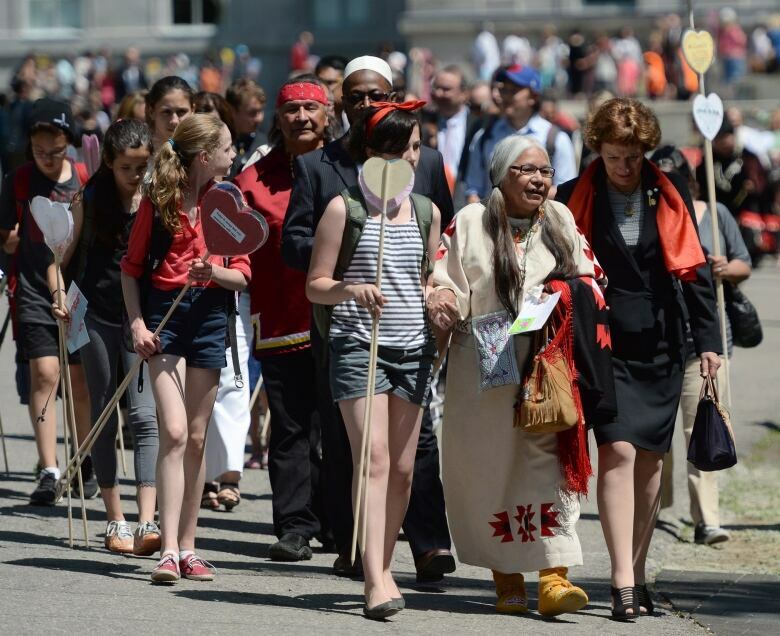 That process was in motion on Sunday, May 31, when an estimated 7,000 to 10,000 people walked through downtown Ottawa-Gatineau in an effort to "transform and renew" the relationship between Aboriginal Peoples and other Canadians. 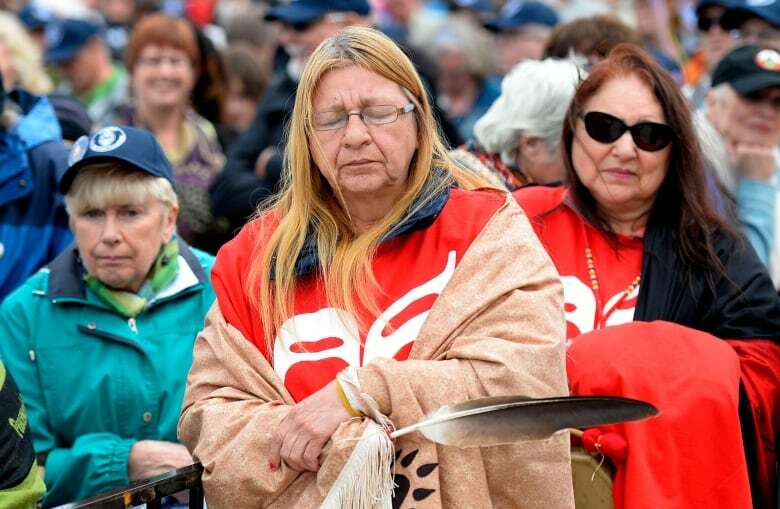 Chief Robert Joseph, who attended residential school and helped create the organization Reconciliation Canada, said he had been waiting to take part in Sunday's walk for a long time. "I never, ever envisioned that this would happen, that thousands of people would gather to give expression to the idea that we are … all one," Joseph said. But others were skeptical. Vivian Ketchum, 51, attended Cecilia Jeffrey Indian Residential School in northern Ontario starting when she was five years old. She came to Ottawa for the final TRC events this week. "I don't expect much to happen after," she said. "This is just going to be one final hurrah for us and we're just going to be placed aside. I think that's the reality for us [survivors]." That skepticism was reflected in the hashtag #MyReconciliationIncludes, that gathered steam throughout the week on Twitter. It was started by renowned Métis artist Christi Belcourt, and spurred on discussion that was sometimes cynical, sometimes hopeful. <a href="https://twitter.com/hashtag/MyReconciliationIncludes?src=hash">#MyReconciliationIncludes</a> a granddaughter proud to be Anishinaabe. The executive summary of the landmark report was released on June 2 to a packed house in Ottawa. 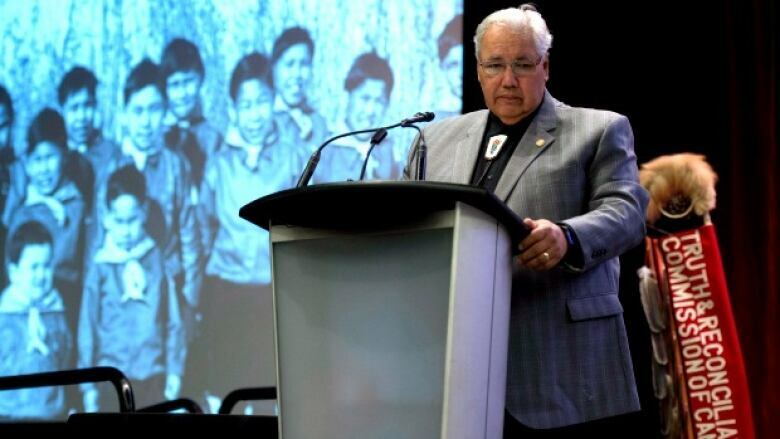 Canada needs to move from "apology to action" if reconciliation with Aboriginal Peoples is to succeed, the Truth and Reconciliation Commission said. The report includes 94 recommendations for change in policies, programs and the "way we talk to, and about, each other." It also urges Canada to confront the issue of cultural genocide in relationship to the treatment of Aboriginal Peoples. Prime Minister Stephen Harper met with the commissioners at a closed door meeting on Tuesday. In a written statement released after the meeting, Justice Murray Sinclair, the commission's chair, said he was worried the government would not act on some of the report's recommendations. "He was open to listening to some of our concerns and inquired about some of our recommendations," he said. "I remain concerned with the government's resistance to the adoption of the United Nations Declaration on the Rights of Indigenous Peoples." The report said the government's implementation of the declaration would be a "framework for reconciliation." Events closed on June 3, when Governor General David Johnston spoke to a packed, emotional room inside Rideau Hall Wednesday, marking the ceremonial end of the Truth and Reconciliation Commission. Guests make their way out of Rideau Hall to the heart garden planting at the closing ceremony. (Sean Kilpatrick/The Canadian Press)"A moment like this arises very rarely in a country's history. This is a moment for national reflection and introspection. This is a moment to reflect upon our history, our relationships and our responsibilities towards each other, " Johnson said. Justice Sinclair reminded everyone that the recommendations were written for all of Canada. "We are writing for the future, not just for this government. Our view is that this report is going to have to stand the test of time."